Here at Bison Fleet Specialists in Buffalo, NY we carry top tire brands and test your tire safety continuously. In an attempt to boost performance, tire manufacturers analyze the capabilities of their tires under a variety of road conditions and speeds to ensure the safety and durability of their tires. These tests are conducted on all factory-made tires whether they are intended for rain, snow, off-road, performance or fuel conservation. Among the many tests done on new tires is stopping distance. Stopping distance is the span of road that it takes for a vehicle to come to a complete stop. Several factors determine the stopping distance of a tire. These include the materials and construction of the tire, its tread patterns and the vehicle on which it’s mounted. That’s why it is so important to choose the right tire for your car, van or truck. 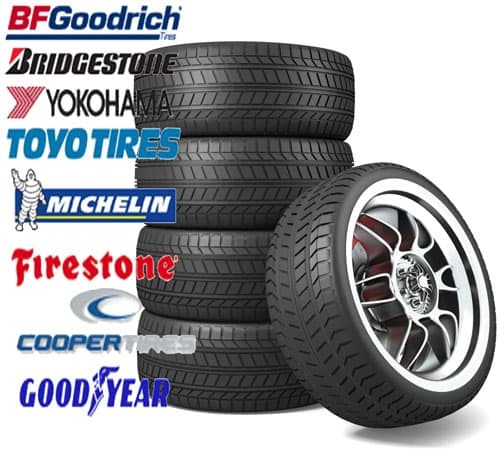 Fortunately we can help you determine which tires are best suited for your vehicle, and your day to day driving demands. A simple way to determine whether you need tires is the quarter test. Insert a quarter upside down into your tire’s tread. If the tread of your tire does not touch George Washington’s head, it’s time to have your tires replaced. Just remember, T.I.R.E. = Tread, Inflation, Rotation, Examine. 5/32″ or greater depth – Your tires are in good condition and do not need to be replaced.4/32″ Depth: Your tires should be monitored and you may notice a decline in wet weather performance. 3/32″ Depth: Monitor your tires closely and replace them soon to ensure your vehicle is road ready, safe, and dependable. 2/32″ Depth or less: You need tires now. Driving is unsafe with tires in this condition and should be replaced right away. Check the air pressure monthly and before taking any long trips. Poor inflation can cause premature wear, increased fuel consumption and tire failure. Your tires should be rotated every 3,000-5,000 miles. When done consistently, this helps maintain proper traction and gives you the maximum tread life. Inspect your tires daily for penetrations, bulges, cracks, and abnormal wear. Don’t forget to check the tire edges for damage caused by misalignment or under-inflation. Bison Fleet Specialist has access to many major brand name tires making tire repair problems easy. We can have tires changed at your site location if convenience is what you need. In addition some times we will even pick up your vehicles repair the tire and return the vehicle to you. save the hassle work with Bison Fleet to make your company run as smoothly as possible. Trust your tires to our team of automotive technicians at Bison Fleet Specialists located at 1615 William Street in Buffalo, NY.